I wish I had more time to read. I wish I made more time to read. Especially when I come across works that force me to wonder why I’ve never read or heard about a particular topic or concept before. 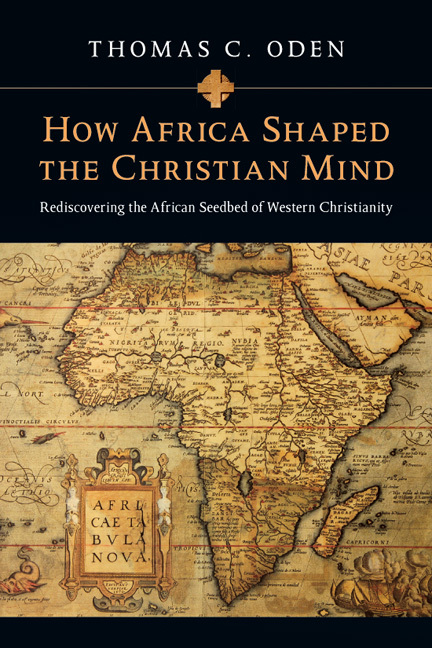 How Africa Shaped the Christian Mind is precisely one of these missing bricks from my orthodox foundation. As I turned each page I wondered how this wasn’t required reading at the undergraduate or seminary level, especially considering the emphasis we, as Lutherans, place on historical, liturgical, and academic history and tradition. Not to distract from the review of the book, but Bonhoeffer’s Black Jesus by Reggie Williams was another such volume that took me way to long to discover and subsequently digest. The opening sentences of the book strike at the heart of my confused questioning — African played a decisive role in the formation of Christian culture. Decisive intellectual achievements of Christianity were explored and understood first in Africa before they were recognized in Europe, and a millennium before they found their way to North America. Oden isn’t a shock jock looking to ruffle your feathers with coy statement and half baked research. His posture is one of humility as he describes the transmission of Celtic monasticism from the deserts of North Africa, the inception of the European academy in the Nile River Valley, and the evangelistic witness of African martyrs who protected Scripture for every generation of Christians to come. In a direct and sympathetic way, Oden highlights how everything from modern apologetics to rhetorical and dialectic skills were developed in Africa before making their way to Europe. He addresses the influence and respect Alexandria held among the earliest churches — even more than Jerusalem or Antioch! More than this, the reduction of African Christianity to the Mediterranean coast is a misnomer. Oden argues that the entire continent of African contributed to the faith we confess, even on this anniversary year of the Protestant Reformation. Where was homage paid to Tertullian, Cyprian, and Origen by the Reformers?! In what ways did those we revere the most, as Lutheran theologians, rightly identify the origins of their own pedagogy? I don’t recall ever hearing this. My feelings were torn as I turned the final page of the African Chronology the author presents. On the one hand I was glad to be enlightened to a fundamentally missing piece of my own orthodoxy. On the other hand, I experience some guilt and shame for remaining unaware for so many years of the foundational contributions of my brothers and sisters on the African continent. I am challenged to read the “forgotten” primary sources of our brothers and sisters who died for my “orthodoxy,” and reclaim these, not in some overcompensatory way, but with the same posture of humility and recognition of the author of this book. Read this book. I finally did - and I wish I had sooner.